The business of cab-hailing was supposed to liberate drivers. Instead, it left many with shrinking incomes and backbreaking loans. A new startup wants to make amends. Uber and its multiple competitors – Lyft, Ola, Grab – have revolutionised the modern-day commute. But in their quest to dominate the world and delight the customer, they have often shortchanged the supply side: the drivers. ET Prime had earlier published an in-depth analysis of the driver- partner issues in India. Rahm Shastry wants to change the situation. 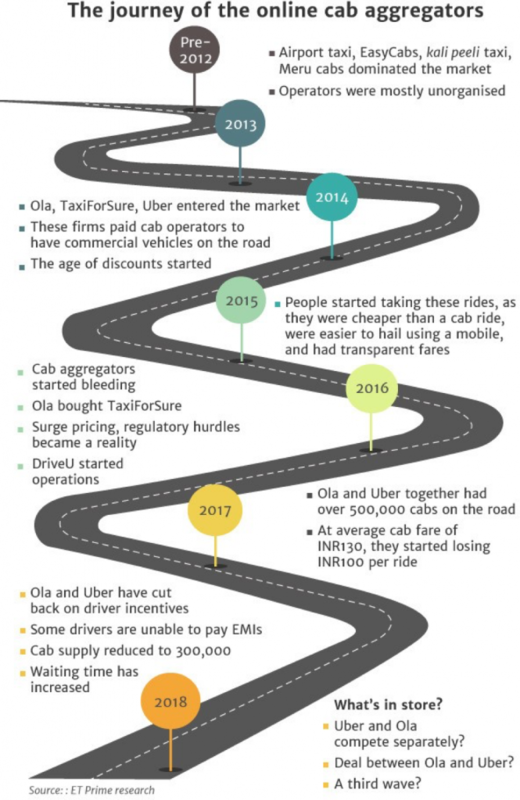 By 2015, as TaxiForSure bowed out, selling o to Ola, Shastry, the rst angel investor in TaxiForSure, had a ringside view of the events unfolding. He put together a small group of people who had left TaxiForSure after the deal with the aim of disrupting the driver-aggregation market. They set an ambitious target of launching their product within 90 days. On the 89th day, DriveU was born. Shastry is aiming for a smaller market – private car-owners looking for drivers – but wants to be protable. He wants his driver partners to make money, which he believes will ensure better customer experience. DriveU is app-based and is available on both Android and iOS. The company also allows booking from its website and, lately, through calls to its call centres. “I found that the driver-aggregation market in 2015 was what the taxi- aggregation market used to be in 2011 – primitive and unorganised. Price was high. Utilisation was low, both for drivers and car owners. Could we optimise it? People told us we were going after the wrong market: ‘No one will buy cars when they can use taxis.’ But we persisted,” Shastry tells ET Prime. 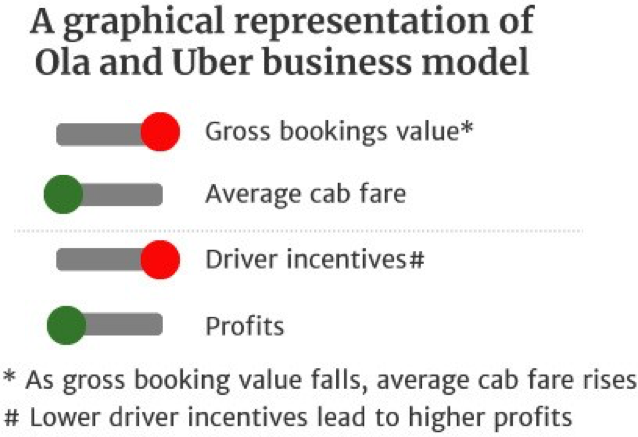 In the last three years, the journey of the customers and the drivers has seen dierent dynamics: from riders being pampered with incentives, to complaints of frequent surge in pricing, to drivers facing decline in incomes. One thing that the competitive ferocity in the ride-hailing market has done is increase the total volumes. 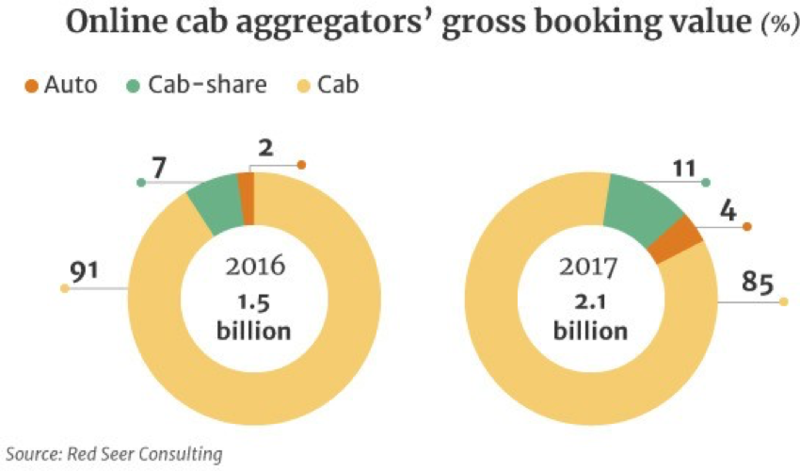 The gross bookings value of online cab aggregators grew 40% between 2016 and 2017, fuelled by massive investments. But in order to increase the gross booking value, Ola and Uber had to keep reducing average fares and promise higher driver incentives. One pillar of the business was hiding in plain sight under the layers of investment required for market-making — profit. As the cab aggregators started bleeding, incentives were cut, which eventually led to protests by drivers. DriveU has come up with an alternative – aggregate drivers with private cars. Here, drivers don’t need to own or lease cars. They just drive. In the process, it has secured a space that may not witness blistering growth, but is less bloody compared to the battleeld chosen by Ola and Uber. With USD4 million in funding so far from Unitus Ventures, Amit Singhal (ex- Google and ex-Uber), Goe Woolley (Patamar Capital), Rajeev Madhavan (Clear Ventures), and other Silicon Valley investors, DriveU has expanded its footprint to six cities and 6,000 drivers. It has been acquiring smaller local competitors – CallAtHome in Gurgaon, DriversKart in Chennai, and Zuver in Mumbai. The company has positive unit economics, with a per-trip margin of INR60 or 15%, on an average trip size of INR400. Its revenue grew from INR1 crore in 2016 to INR4 crore in 2017. But the positive unit economics are yet to translate into overall protability. The key question is: How will the company scale up? DriveU is targeting cities with high car ownership. What may work in its favour is the fact that about 60% of India’s population will live in cities by 2050, a dramatic rate of urbanisation. “More people will need jobs, and with more trac, less people will want to drive, though they will own cars. Here, DriveU ts in well. 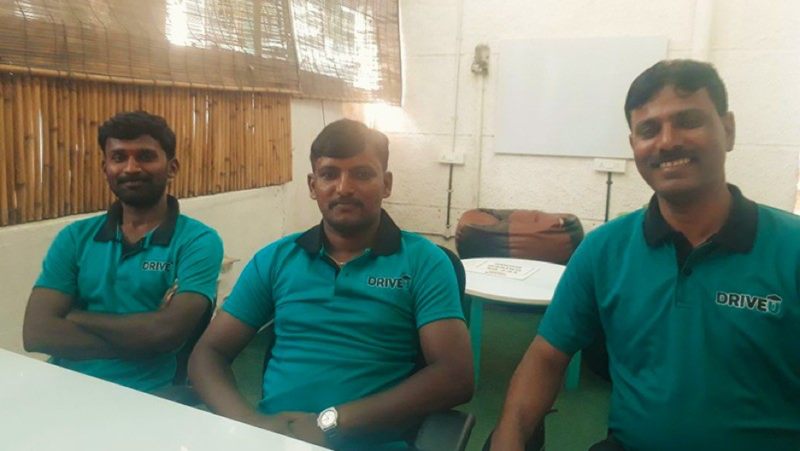 It has a great team with solid execution,” says Ramamoorthy, who volunteered as a part-time driver for DriveU on New Year’s Eve and drove some party-goers home. If Ola and Uber are attracting users who would have otherwise travelled by public transport, DriveU is clearly targeting those who have their own cars and more money. These people are not driven only by price consciousness, reflecting in DriveU’s higher average booking duration of four hours and fares of INR400, compared to the average Ola/Uber fare of around INR130. This is also 33% higher than neighbourhood driver services. With no leases or cars to maintain, DriveU drivers don’t have to recover car expenses before they make money. Money gets transferred to their bank accounts weekly instead of monthly. Also, city-specic incentive schemes help them improve income. There are also the usual insurance schemes and professional-training programmes. Interestingly, it is this focus on driver enablement that got Shastry his first investment from Unitus. DriveU has enabled drivers to work on a freelance basis. ET Prime met three drivers during their shifts at the DriveU oce. When Mohammed Islam took voluntary retirement after 20 years of service with the Indian Air Force, he took up a job in insurance and then in the real- estate sector. He was earning up to INR10 lakh as an area sales manager before demonetisation hit the cash-based business hard. With a monthly instalment of INR30,000 to pay, he could not aord to be out of work. A chance meeting with a uniformed DriveU driver brought him to the company, where he now freelances as a driver during the high-demand 6pm-midnight shift. He does between three to drive drives per day and continues his real-estate work in the morning. “I can’t afford to buy or lease a car, which is what Uber and Ola need drivers to do. This way, as long as I have a driving licence, I can drive and earn. And I don’t have to spend in return,” Islam tells ET Prime. Chetan, another driver, has been driving for the last eight years. With DriveU for a year now, Chetan was initially a full-time driver. He has now joined the driver-experience team, where he gets to speak to drivers and address their problems. What kind of problems do the drivers face? That seems to have become DriveU’s pool as well now, without the additional hassles of having to provide them vehicles to drive. Who’s driving into the future? Red Seer Consulting has estimated that the online cab market could grow at 50% CAGR from 2016 to 2020 to reach 150 million-170 million rides. Uber survives its battle with Ola: Given its multiple open battlefronts across global cities, it is unlikely that Uber would also get into the private-car segment. Ola wins the battle and Uber backs off: Given its focus on vertical oerings, Ola might adopt this model as an additional oering and become a formidable competitor. Uber and Ola continue their fight: Even as the war wages, companies like DriveU can quietly pick their own battles and keep growing their niche services. But other competitors will join the party. The recent launch of S3 cabs in Mumbai, and earlier eorts by HDK Cabs in Bengaluru and UTOO in Chennai could be an indication. Meanwhile, the market gets another option to choose from. Utilising existing vehicles instead of adding more cars to the already-congested roads on the one hand, and enabling drivers to drive without forcing them to become owner-operators on the other, will continue to be a niche but viable alternative. Even as Ola and Uber promise to be everyone’s private drivers, DriveU and the likes can actually bring the competition home as long as the economics work out – for them, for private-car owners, and for drivers.